So, a few months ago, he opened a nap cafe in the center of America's capital city. It is called recharj. 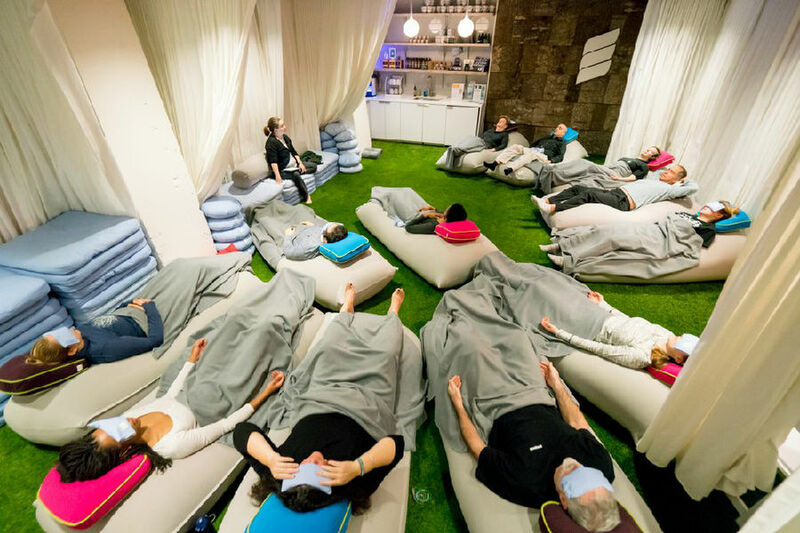 After turning off all of their electronic devices, recharj customers lie down in so-called "power nap cocoons." The cocoons are meant to help people fall asleep, stay asleep, and wake up feeling refreshed. They have a bed, a blanket and a special scented eye mask to help customers relax. Soft music plays in the cocoons. Turissini says recharj offers a solution to the city's fast-paced lifestyle – a chance to slow down. He says that today's professionals face issues that "we never really had a generation ago." For example, smartphones make it easy for a boss or coworker to contact workers, in Turissini's words "at all hours at night or when you're on vacation." He says "there's a load of other challenges we're facing today that wellness and lifestyle changes – habit changes – are critical to a sustainable life, to a long, happy life." He says, "I feel, I guess, like the day is just beginning instead of (thinking) ‘Oh my God how am I going to get through the rest of the day?' I come here a lot at the middle of the day and after work. And even that is just as helpful because you're energized." "What I like most about coming here is that I can breathe, whereas my morning is very crazy. I drink a lot of coffee and I'm like moving too much, too fast. So, I come here; it helps stop time and just balance my day." Hughes beckoned him to sit down on a sofa. He smashed a window to get in and nicked a load of silver cups. I neglected to turn turning off the air-conditioner when I left home. The partisans disturbed the enemy at all hours of the day and night. 5.For Turissini, their answers revealed a need for Washington professionals -- a place to go during the day to take a proper nap. I need to take a nap now. I have a class at1:30. Get in the back seat and take a nap while I drive. I think you can get through the first two chapters. It is hard to see how people will get through the winter.